Perhaps the most important factor in Ting’s decision was access to Centennial’s dark fiber backbone. Ting is the first and only ISP operating on the open access network, but the city welcomes others who want to offer Internet access to local businesses and residents. The path to better connectivity for Centennial started in 2013 when city residents overwhelmingly supported a referendum to opt out of restrictive SB 152 and reclaim local authority. Passed in 2005, the Colorado law prevents local governments from developing publicly owned networks to improve Internet access, unless the community votes to opt out of the restriction. To learn more about the communities opting out of SB 152, read our past coverage on the issue or check out the Colorado Sun’s recent overview. Prior to the referendum, Centennial had built 40 miles of underground fiber and conduit for intelligent traffic signaling. The referendum’s passage enabled the city to use this infrastructure to improve connectivity throughout the community. City officials ultimately decided to develop a carrier grade dark fiber backbone that would expand the coverage and capacity of the existing network. In 2016, Centennial released a Master Plan for the open access backbone, which they estimated to cost approximately $5.7 million. According to the plan, the new network would directly connect community anchors, such as schools and public buildings, and it would also run near business and residential areas so that ISPs could lease dark fiber to provide Internet access. Since the original network was built for a single use, upgrading to carrier grade meant having to meet the private sector’s “higher level of expectation in terms of documentation, accessibility, support, how it was built — all that complex stuff,” shared Tim Scott, Director of Fiber Infrastructure for Centennial, on our Community Broadband Bits podcast. The new backbone was designed to have excess capacity, so it could support the many uses envisioned by the city. Even though Centennial didn’t want to operate the network or offer Internet access directly, the city believed having control over the infrastructure was vital. City council “recognized fiber was the next infrastructure a city needs,” Mayor Stephanie Piko told the Centennial Citizen. “Ownership of that physical asset is so important,” Scott commented on the podcast. Their approach seems to be working. Ting is offering families like the Hermans better connectivity for less than they paid previously. Comcast has also increased its speeds at no cost as a result of the competition, according to Mayor Piko. The east and west rings of the city’s fiber backbone should be completed by the end of the year, but Centennial residents are already benefiting from the infrastructure. The Herman family pointed to the various ways that it’s improving their lives. “We’re definitely a modern family,” Isaac Herman told the Centennial Citizen. Isaac owns a video game development company and works from home, so high-quality connectivity is essential. The fiber Internet access provided by Ting also makes it easier for his wife to participate in her masters program and for his children to stream music. 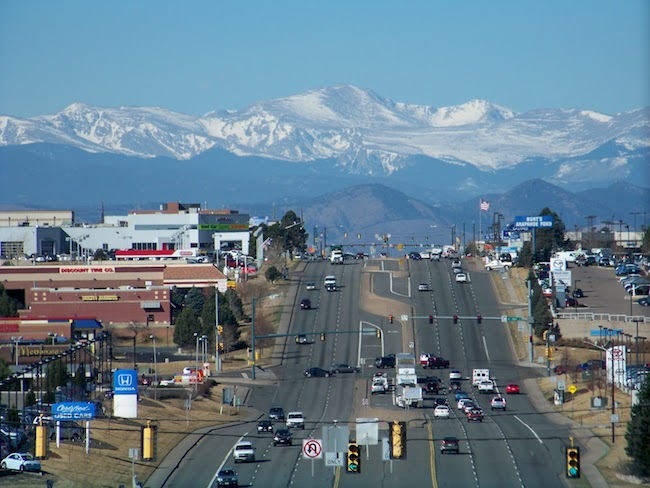 In addition to promoting competition, the city hopes that the network will attract new businesses, enable further smart traffic management, and improve connectivity for public safety agencies and first responders. Image of Centennial courtesy of Colorado Dream Properties.